Training is important for any business organization. This makes not only employees but also management personnel in the company to become more effective in the workplace. When people in the company are effective and efficient, it makes it easier for them to achieve short-term and long-term goals. If you are in human resource and conduct training to various employees in the company, you need an email signature for your email conversations. We have provided some examples you can download and use for your human resource email signature. 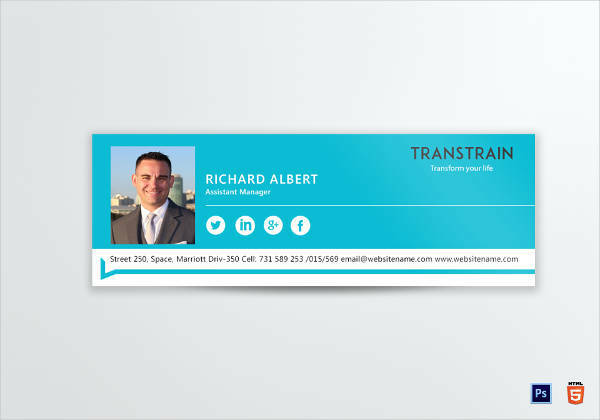 One of the more popular designs you can implement in your training email signature is the use of abstract designs. These types of designs rely on free-flowing and unique forms and utilize a combination of a number of shapes, forms, and lines. You may also see company email signature examples. The beauty of using abstract designs for a training email signature is that there is no limit on the designs you can use. 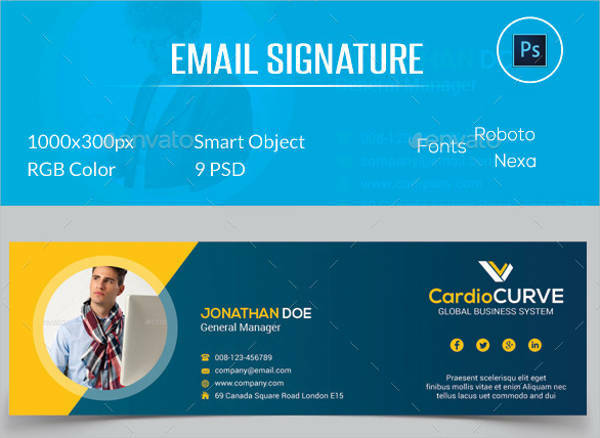 Email signatures are mostly used by professionals and individuals working in a corporate setting, so you will definitely encounter clients who prefer a more simple and clean email signature. Using abstract designs in the email signature will not affect the ongoing transactions you have with these clients. Using abstract designs will actually increase your chances in closing the deal or sale, as a visually appealing design is a reflection of a dynamic and client-centered business organization. 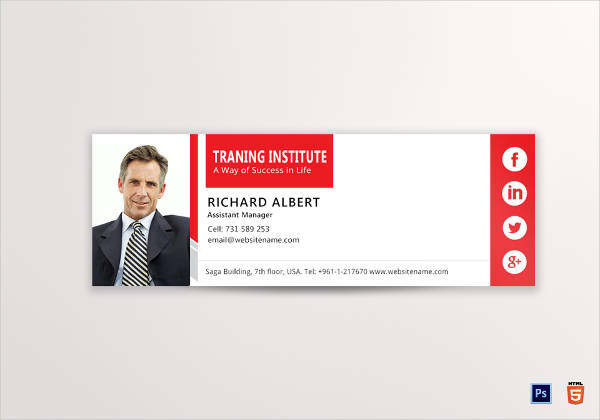 Another design you can use that is as effective as using abstract designs is simply plastering faces of people or people doing a number of various activities in the email signature. Take note that this does not give you the freedom of using any random photo with people in it (for example, an individual doing magic tricks, or a face of person filled with tattoos). The email signature still has to be professional and you have to choose appropriate images that match the formality of the email signature. You may ask yourself, “Why not use my own photos since it’s my own email signature?” It is an option you can use but you can always add a little more something to increase the visual aesthetics of the email signature. One option would be incorporating images of your coworkers in the professional email signature. It could be a photo of you with your team having a meeting, or doing a corporate activity. Just make sure the photo does not overpower the important details you provided in the email signature, such as your name, designation in the company and contact details (contact number, hyperlinks, etc.). There is also another option you can use than just using images of people in your training email signature. Switch up your email signature designs by using business-related images or designs. There are thousands of images you can use for your email signature, but pick the ones that are appropriate for the general email signature you are creating. Since this email signature is focused on training, look for stock photos of training-related equipment and tools such as, but not limited to, laptops, pens, markers, paper, graphs, charts, tables, chairs, magnifying glass, books, etc. If you want to go on a more simpler route for your email signature, don’t incorporate images/designs but use colors instead. Use one color or a combination of colors depending on how you want to present the email signature to your clients. You can have two options when incorporating colors for your email signature: using similar colors or using contrasting colors. You may also like personal email signature examples. Similar colors are basically colors in the same color palette (for example: red, maroon, pink, etc.). Similar colors are often used in different forms of designs, not just email signatures. Similar colors are often used due to their popularity, but oftentimes they are rather bland since they are basically one color but with different variations. You may also check out business email signature examples. If you are bit more adventurous, use contrasting colors for the email signature. Contrasting colors are a combination of colors from different palettes or hues (for example: blue and red combination, yellow and green combination, orange and violet combination, etc.). You might be interested in sales email signature designs & examples. There is always high risk involved when using contrasting colors, so make sure to consult the colors first with other individuals in your team or department, or with your immediate manager to ensure that the design of the email signature does not interfere the transactions you have with clients or how the clients view your company in general. Listed below are some company training programs you can apply in your company. You may use one or all of the training programs as long as it is applicable to your employees in particular and to your company in general. Operating various Microsoft Office software such as Word, Excel, Publisher, PowerPoint, Access, Outlook, and Project. Using a customer relations management (CRM) and other types of enterprise resource planning (ERP) software. Using high-powered equipment in a manufacturing assembly line. You may also see the dos and don’ts of a good email signature. a cashier being taught how to operate a point-of-sysem (POS) as well as identify the correct amount of all the items being sold in the store. 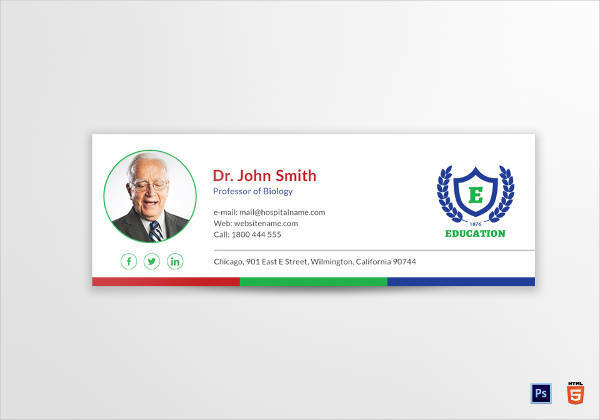 You may also like teacher email signature designs & examples. Safety training meanwhile are conducted to protect employees from injuries or accidents which unfortunately occur in the workplace. Safety training should be conducted by all companies, even for companies who employ less than five people. Safety training should also be practiced by organizations that use chemicals or other types of hazardous materials in their production. You may also check out music email signature designs & examples. Managerial training is only conducted for managers, supervisors, or employees who are up for managerial promotions. A current manager undergoing managerial training will most likely be given additional tasks and responsibilities as instructed by top management. Aside from more tasks, more individuals may be assigned to him or he might be assigned to another department. 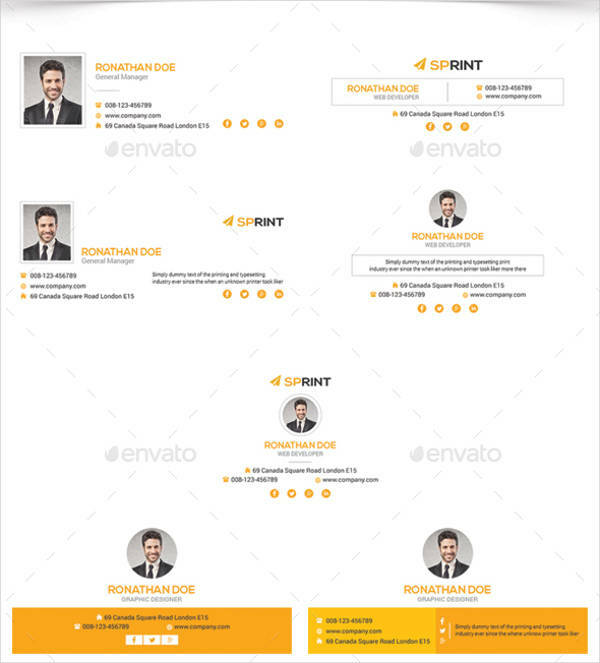 You might be interested in marketing manager email signature designs & examples. Team training is another form of training that should be conducted by every company or business organization. Team training are usually conducted by each department to build and strengthen the relationships between members of the team. This is also to make sure that members are in-sync with each other when they will be working on their respective tasks. You may also see content writer email signature designs & examples. Sometimes, team training are also conducted outside the office premises. These type of training are more classified as team building activities. We hope you found this article to be informative as well as helpful when you will be creating your own training email signature. The examples we provided are very affordable and can surely provide visual aesthetics to your otherwise bland email signature. Additionally, the examples we provided are fully customizable.